Mr KE Huanzhang is currently the chief planning consultant of Beijing Municipal Institute of City Planning and Design (北京市城市規劃設計研究院). 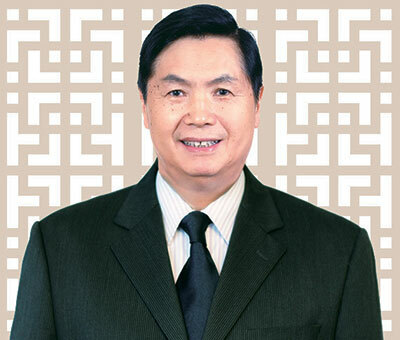 Mr KE was graduated in 1962 from Southeast University (東南大學) (formerly the Nanjing Industrial Institute (南京工學院)) and his major was construction. Mr KE has over 40 years of experience in the areas of housing, urban rural development and town planning. From 1979 to 1986, Mr KE served as the deputy division chief and deputy director-general of the Beijing Planning Bureau (北京市規劃局). From September 1986 to March 2001, Mr KE was the dean and senior town planning professor of Beijing Municipal Institute of City Planning and Design (北京市城市 規劃設計研究院). Mr KE was appointed as our independent non-executive Director on 22 June 2009. Copyright © 2019 Greentown China Holdings Limited. All rights reserved.